Updates to Office 365 are coming thick and fast, and there are fantastic new tools being released almost every month.Office 365 Groups, Microsoft Teams, Flow, PowerApps, Planner, Delve, Flow, Yammer… so many tools to look at and figure out how to use in your company.With so much to choose from, it’s good to take a step back and look at why Microsoft are releasing these products, where they see the vision for business software, and how this fits into a real enterprise. 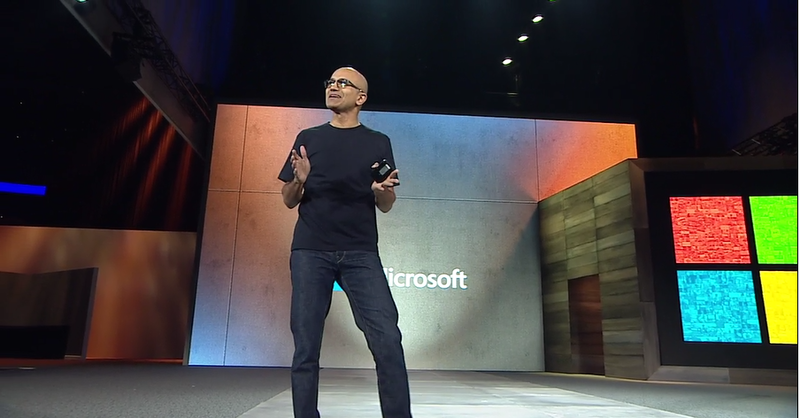 At Microsoft’s Ignite conference this year, there was much talk about the three pillars – Security, Intelligence and Cloud. In fact, Security and Cloud are very much the means to deliver on the middle pillar – Intelligence. By running IT on cloud servers, the opportunity arises to create hugely sophisticated, joined up services, where every person and every application is communicating and sharing data. By adding clever ‘learning’ technologies, your computer can actively help you to do your work better, rather than being just a machine waiting for your instructions.A powerful example of this is Delve, the search tool that is powered by the Office Graph. While you are going about your normal day-to-day business using Office 365 – sending emails, Skyping with colleagues, sharing documents – the Office Graph is building up a picture of what you do and who you communicate with. This is then used by Delve to give you highly focused search results when you’re trying to find information – far better than any free-text search could possibly give.This then drives ‘Tap’ in Word and Outlook: if you are working on a document, you can quickly find related content in other documents, even tables and graphs that might be useful to what you’re working on. 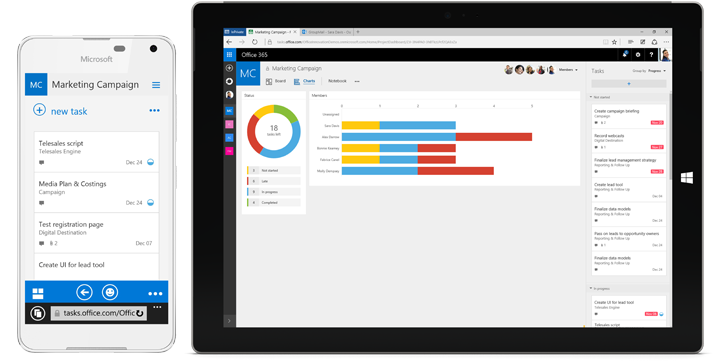 With Flow and PowerApps, you have the ability to join together the various tools that you use – creating workflows to pass data between your CRM tool, Outlook, Excel, SharePoint – even sending notifications and text messages to your phone. So how does this fit in? So why this proliferation of Apps, and how do these fit into your organisation?There are two distinct routes for people to go down when planning their IT environment using Office 365. These can broadly be divided into ‘Structured’ versus ‘Unstructured’. The Structured route is represented by SharePoint Online. SharePoint gives your organisation a platform to store documents that can be planned, organised and carefully managed.Think of a traditional library – every book on the correct shelf, properly indexed, checked in and out, calm, quiet, organised… Workflows can be added to remind people that a policy needs to be updated, or to ask for approval of a holiday request. We work with a lot of organisation that have built up very impressive SharePoint Environments, with everything really well planned and managed, and where everybody knows where to find particular pieces of information.The ‘Unstructured’ route is represented by Office 365 Groups. Here, as with Microsoft Teams, the emphasis is on quick and easy self-service collaboration. The tools are much simpler and less customisable, there is little high level structure, administrators have little influence on what users are creating, or how things are organised. The view from Microsoft appears to be that the benefits of people being able to quickly spin up a workspace to share, chat and plan, outweigh the need to have things organised and managed.If half a dozen people begin working on a project, they should be able to create a Team, do their work, and then walk away from it once the project is closed. Any knowledge that is captured along the way will rely on intelligent tools such as Delve if it is going to be found and reused.From a usability point of view, this can be great. If the tools are simple, engaging and stable, then there are very few barriers to stop people from using these; compare with frequent complaints about SharePoint sites that people find them clunky and time consuming.The danger here is the word ‘stable’. Currently, Microsoft appear to be in full-scale innovation mode, and significant updates are being released regularly which, while almost always positive, can give your users palpitations! From a governance point of view, companies need to proceed with care. One of the compelling reasons to move to Cloud based file storage is to get documents organised, indexed and managed – to remove the clutter that accumulates over the years. Encouraging people to work with Groups and Teams releases this control, and you will inevitably end up with many sites that have been spun up, used and then walked away from, that someday, somebody will have to sort out.So, what’s the right way to go? The sensible route would be to encourage people to use the tools available to them, but to use ‘Structured SharePoint’ when there is an obvious need.We work like this quite successfully within our organisation. Internal projects, research, marketing discussions, product development, is all carried out however the team leader chooses. These projects aren’t regulated, and as long as the outputs are properly stored (product design documents, marketing collateral), it doesn’t matter what is used for communication. We do ask that any groups, teams, plans, yammer groups etc are logged in a SharePoint list so that we can easily have a clear-out occasionally.Things that need formal management are managed on SharePoint. Clients have a team site; Projects have a Plan and a Document Library; policies have review schedules and owners; company meetings have actions recorded in task lists.Taking this hybrid route means it is possible to innovate and move quickly, but we can also keep control where needed.We’re happy to talk to you about how to get the best from you investment in Microsoft Technologies. Give us a call on 0800 849 3018.
previous post: 60 Second Briefing – What is Office 365 Planner?